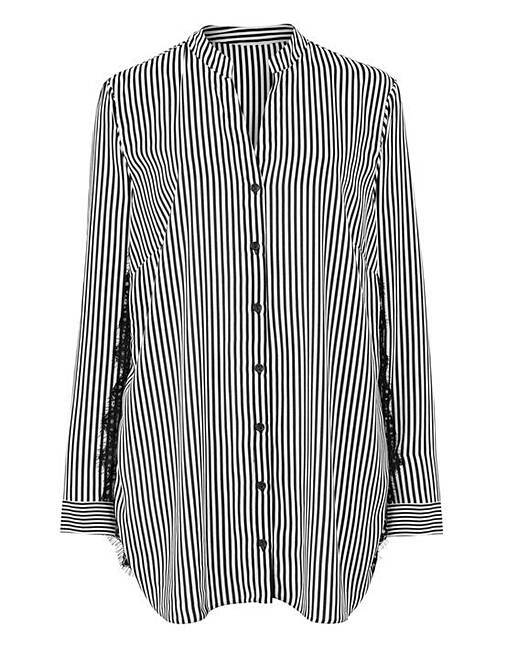 Mono Stripe Lace Detail Longline Shirt is rated 3.9 out of 5 by 7. 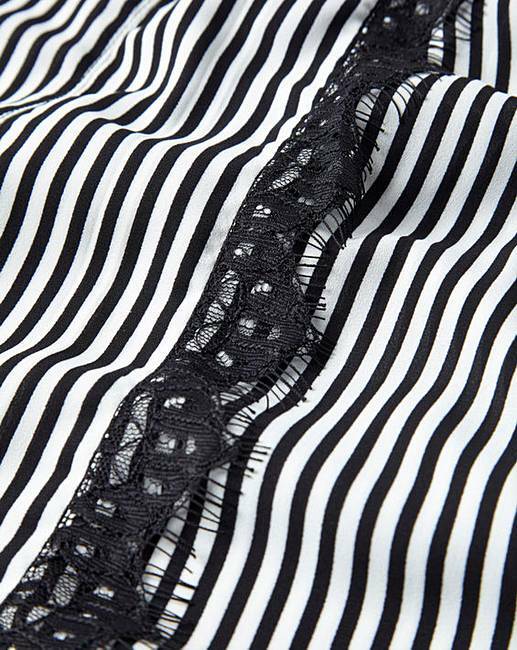 Look stylish this season in this mono stripe shirt with lace detail. 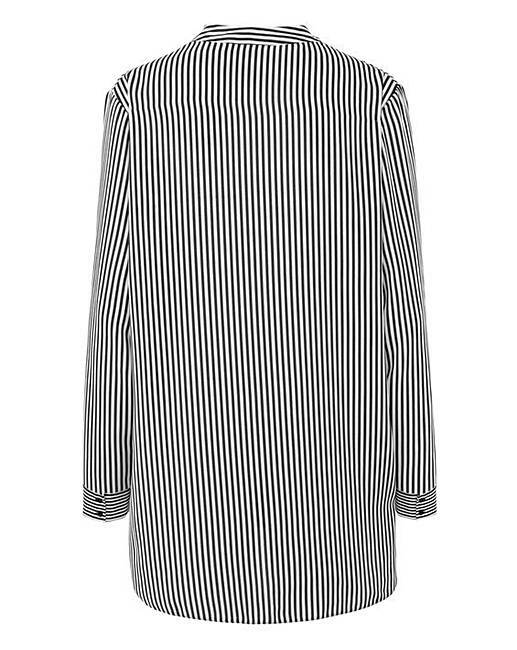 Simply wear with black skinny jeans, and either black ankle boots or pumps, for a casual daytime look. Or to dress it up for the evening, wear with black leather pants and a pair of strappy heels. Rated 1 out of 5 by Shiela from Cuffs to fit a giant Ordered this and was really disappointed. It has no shaping to it and it hangs really badly, particularly at the front. The cuffs would have wrapped around my wrists twice. It doesn’t really look like the garment in the picture. Rated 4 out of 5 by Kirsty from Lovely top I brought this for my upcoming interviews,shirt is lovely however i have had to send it back as the sizing came up pretty big. Rated 5 out of 5 by Islasmummy from As described I’m very happy with this casual shirt I wear for work. Comfortable and stylish.